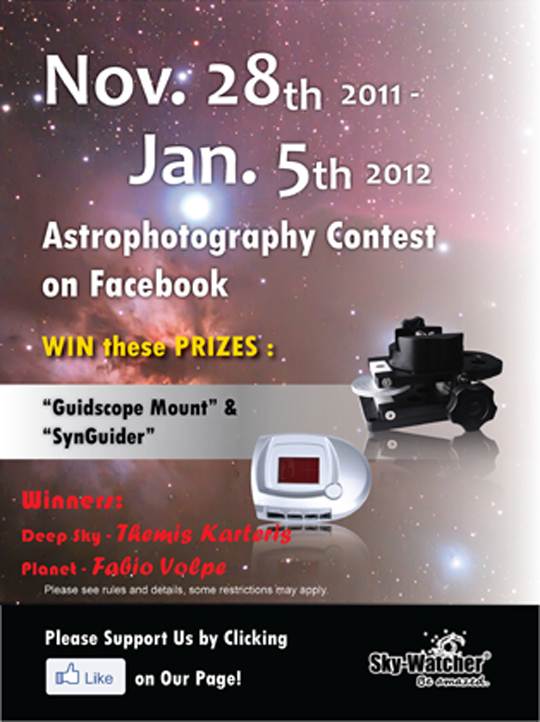 Congradulations to Themis and Fabio for being the most supported contestants of Sky-Watcher\'s FIRST facebook page contest!! They will each be receving their wonderful gift very soon and we hope that they will have loads of fun with their new toy!! Nothing feels quite as great as having a NEW Equipment for the NEW Year! Please contiue to support us and we shall contiue to come up with more great events!! May we all find the Sky-Watcher within and continue to "Be amazed."!!! !